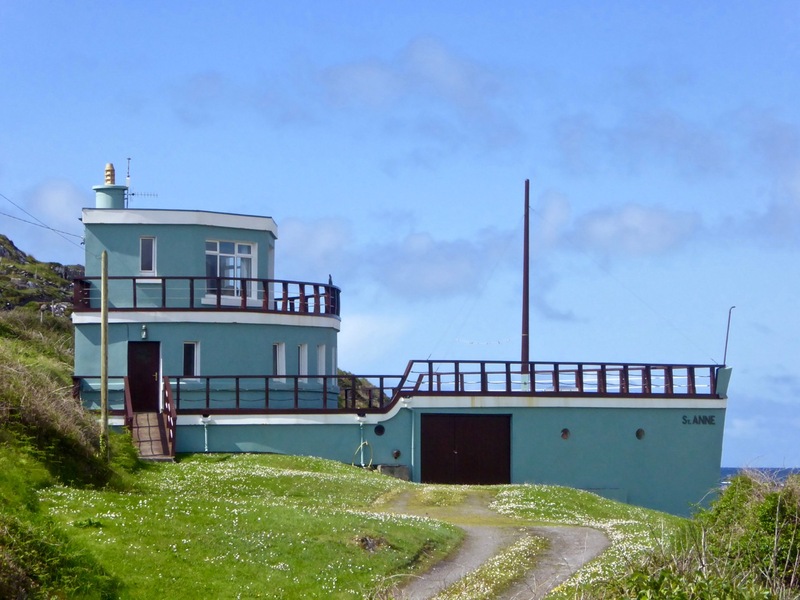 Adrift on the shoreline of Ballycarnahan townland in County Kerry is a most wonderful piece of architecture. 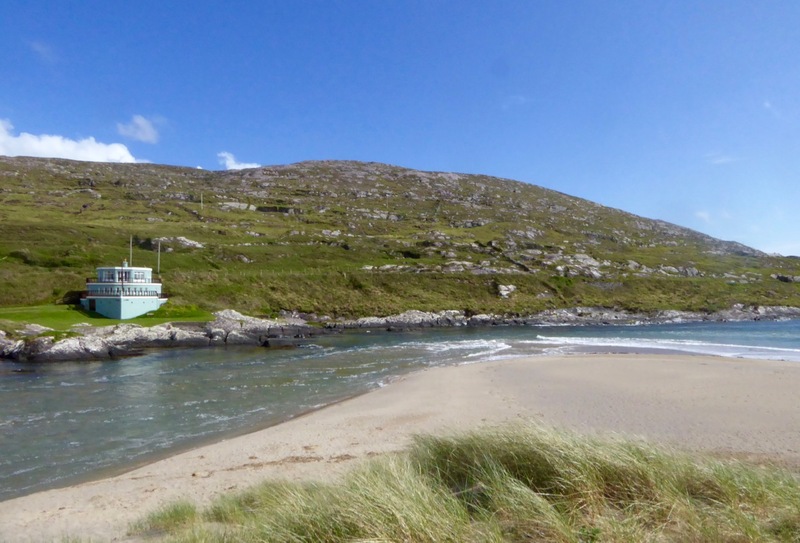 It is a ship shaped house, seemingly half buried in the sand dunes, its prow and bridge emerging and facing one of Ireland’s most spectacular views. 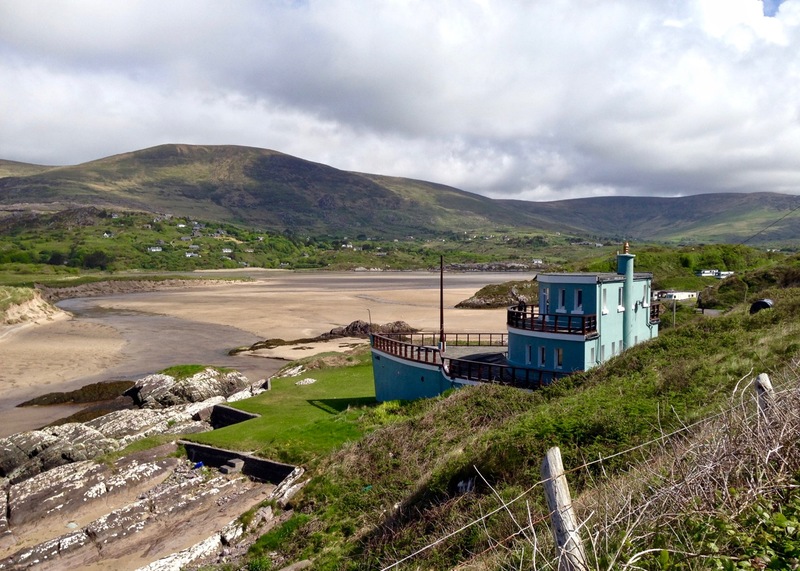 The house in the dunes was built as a holiday home by Francis and Ros Horgan of Macroom in the early 1950s. It is still owned by the Horgan family. As an architect myself I wondered about the history of the design: did the inspired idea of the ‘ship’ come from the clients? Or was it dreamed up by the architect? In which case the clients would have to be commended for going along with such a daring (and witty) concept. 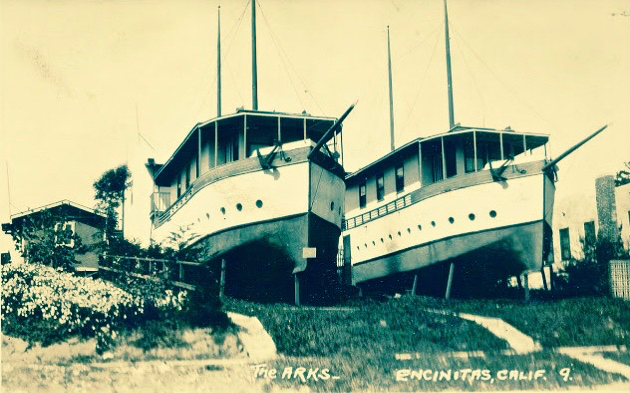 Houses made from boats and marooned forever on dry land are not unknown: below are a couple from California; the Kerry house, however, is a purpose-built ‘one off’. Architectural ‘ship’ symbolism can also be found elsewhere in Ireland: the new Library in Dun Laoghaire by Carr Cotter + Neassens Architects has a definite nautical theme, appropriate for its site overlooking Dublin’s Dun Laoghaire Harbour. We were in Kerry visiting cousins of Finola: all of them were brought up in Lamb’s Head, just beside the Ship House. They were a mine of information on the house, which had been built by their grandfather Crohane Donnelly (he was named after the local saint) at a cost of one thousand pounds. 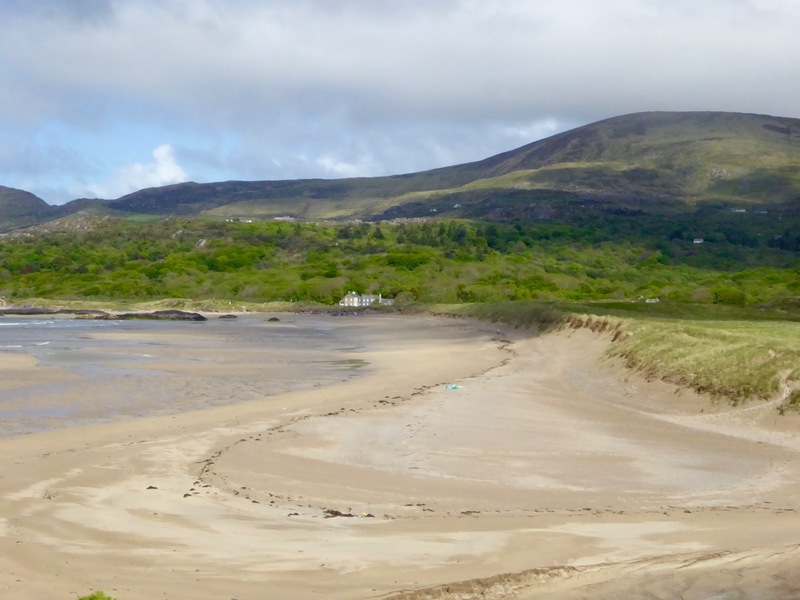 Over breakfast this morning at Lamb’s Head, enjoying the same view across the bay to Derrynane House, I was delighted when cousin Annie came in with a newspaper cutting from the Daily Mirror dating from St Patrick’s Day 1969: the headline was Ahoy! It’s the Cosy Home that is Always Ship Shape, and it was all about the Ship House. The upper deck of the three tier house – the wheelhouse – has a ship’s wheel which came from the HMS Pluto, which was being broken up in Cork. The lower deck, within the concrete ‘hull’, houses a garage and workshop, is known as ‘the hold’ and is lit by portholes. There is even a gangplank leading to the front door! 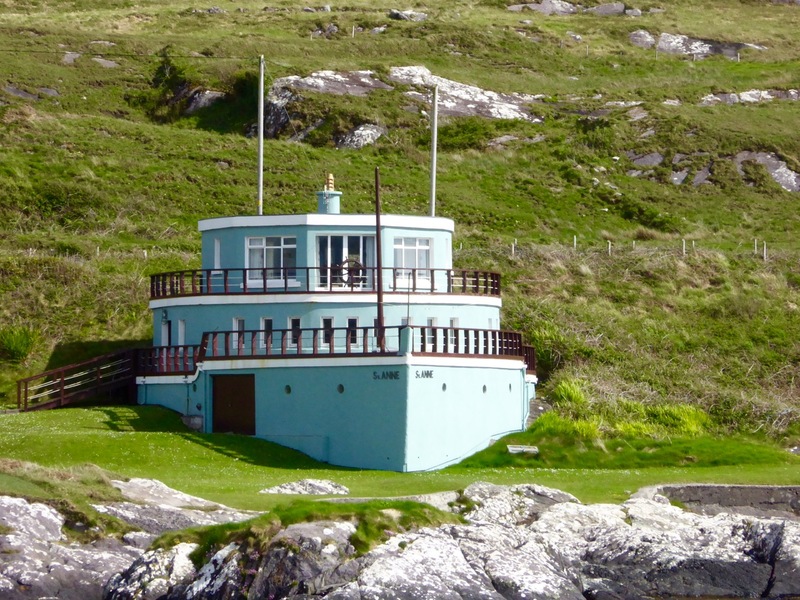 Perhaps one day I will get to have a look inside the ship house – I wonder how the rooms are laid out? 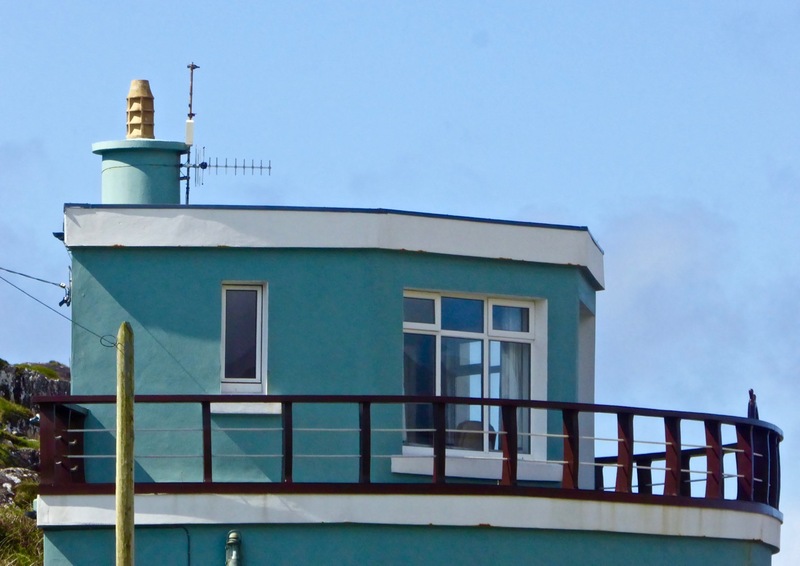 As well as bringing in the electric there are some obvious upgrades which have taken place – there are modern windows installed and the roof looks to have been renewed. 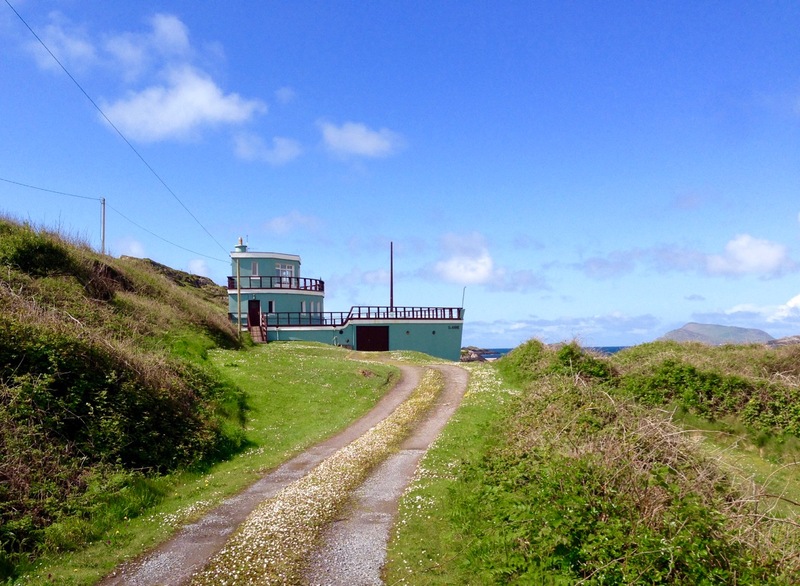 But it’s still a holiday home, owned and used by the Horgan’s children. 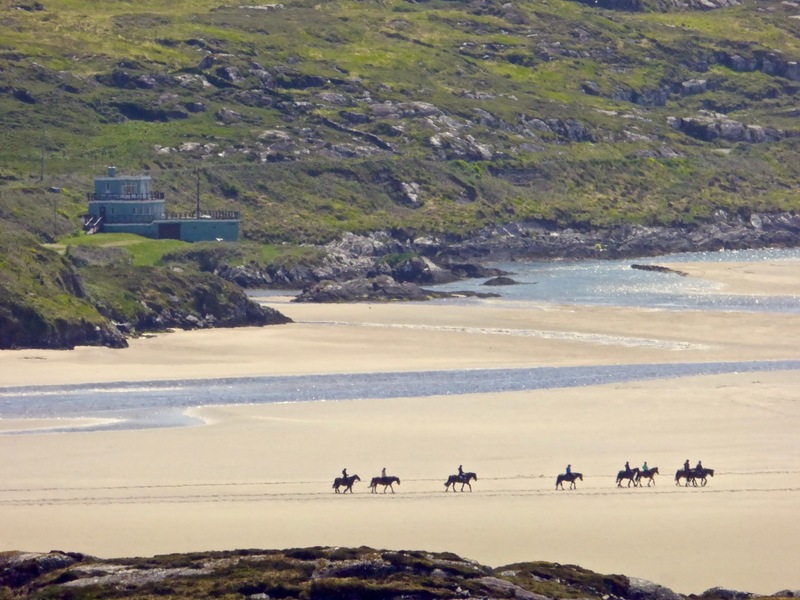 It must be one of the most unusual and eccentric holiday hideaways in Ireland! Stop Press Since publishing this post yesterday, Cousin Annie has forwarded some more information. 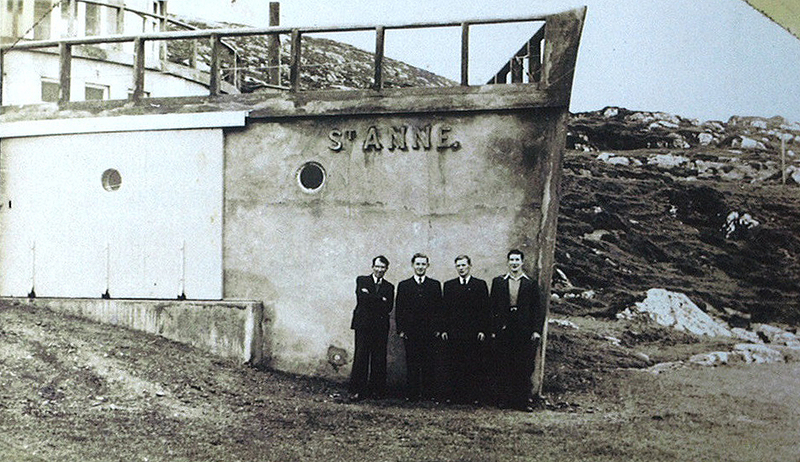 An album of photographs which were taken during the construction process was reproduced in the Caherdaniel Parish Magazine in 2014, with the permission of the Horgan family (owners) and the Donnelly family (builders). 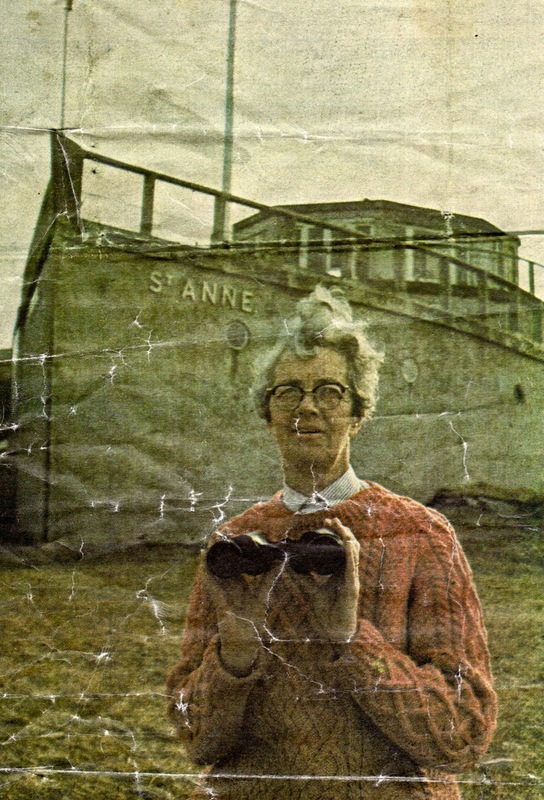 It’s a great contemporary record of an unusual project and some of those photographs are put together in this slide show – thanks, Annie! Thanks to all Finola’s Kerry cousins and their families for their memories and information on the Ship House, and for the wonderful hospitality which they heaped upon us during our visit. And thank you to Finola for allowing me to use her superb picture on the header, which would otherwise have featured in her own Into The Kingdom post!